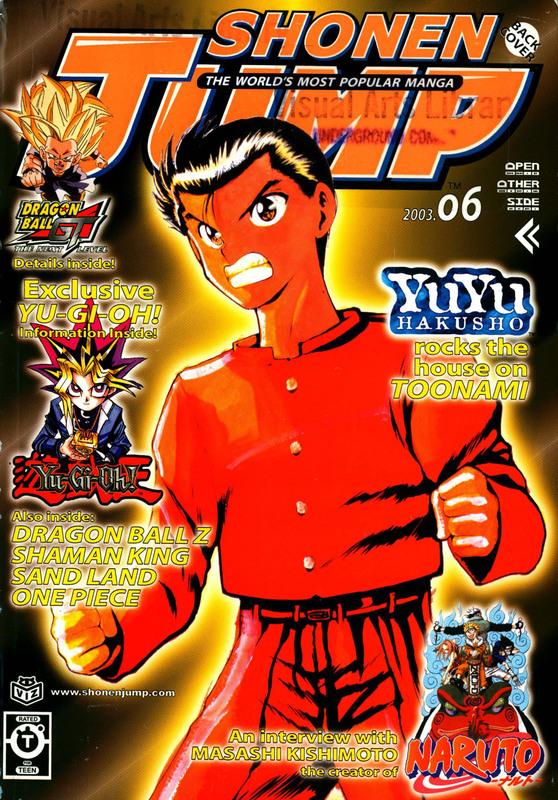 Shonen Jump, “The World’s Most Popular Manga”, was a monthly Americanized version of the original weekly Japanese Shonen Jump. The first American Issue (no. 0) came out in November 2002. The magazine featured around 6 different comics, each by a different artist with ongoing stories that continued from one issue to the next. 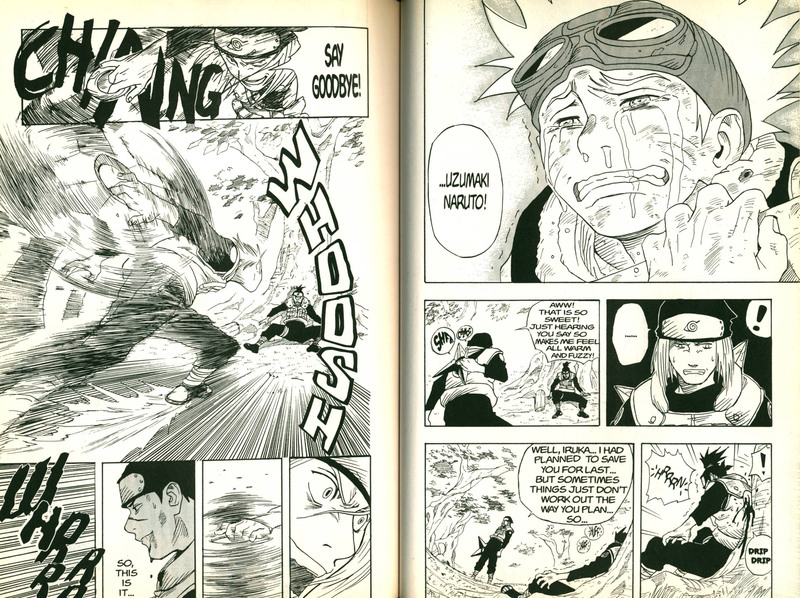 Featured manga titles include Naruto, Yu-Gi-Oh!, Bleach, One Piece, Dragon Ball Z, Slam Dunk, and Yu Yu Hakusho. 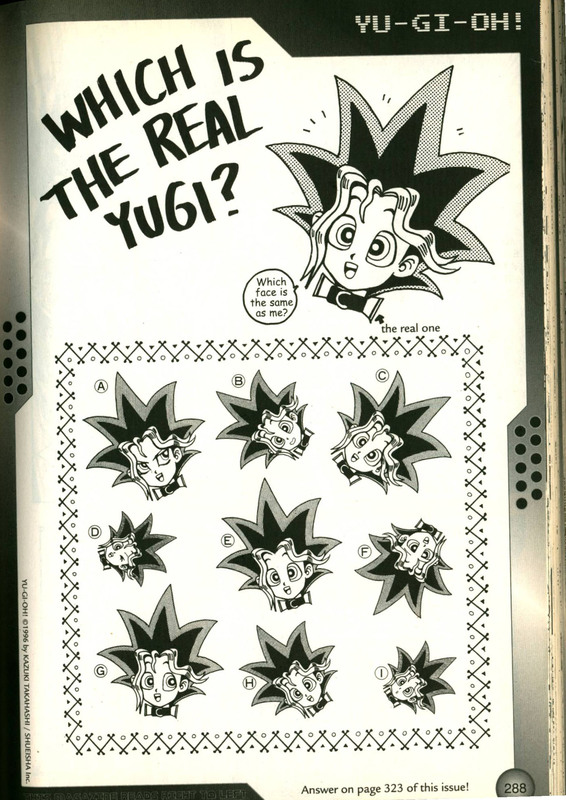 The library has a total of 98 Shonen Jump‘s (all but 2) from the first to the final issue. 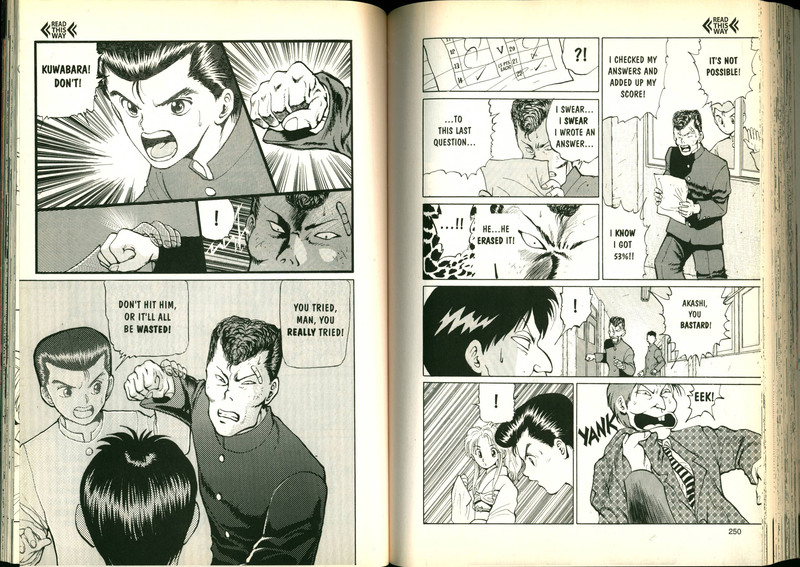 Remember: manga reads from right to left! 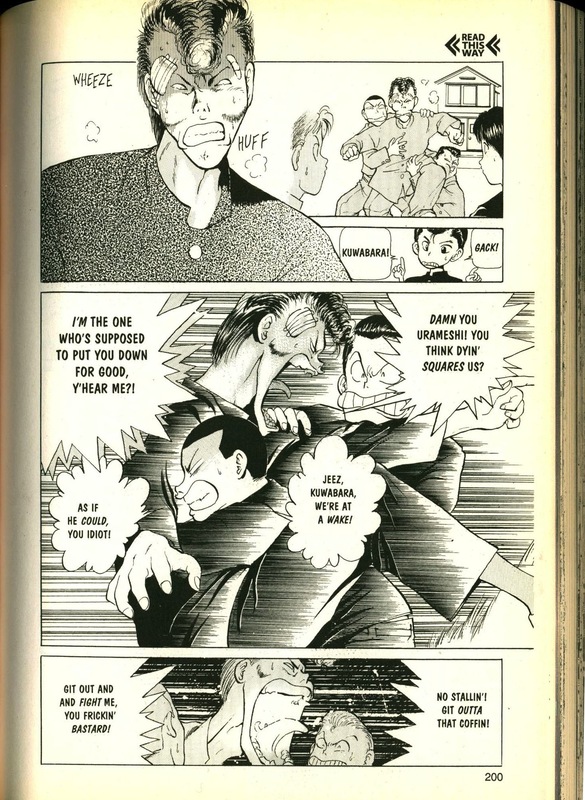 Shonen Jump, Vol. 1, no. 0. Shonen Jump, Vol. 1, No. 2. February 2003. Shonen Jump, Vol. 1, No. 6. June 2003. 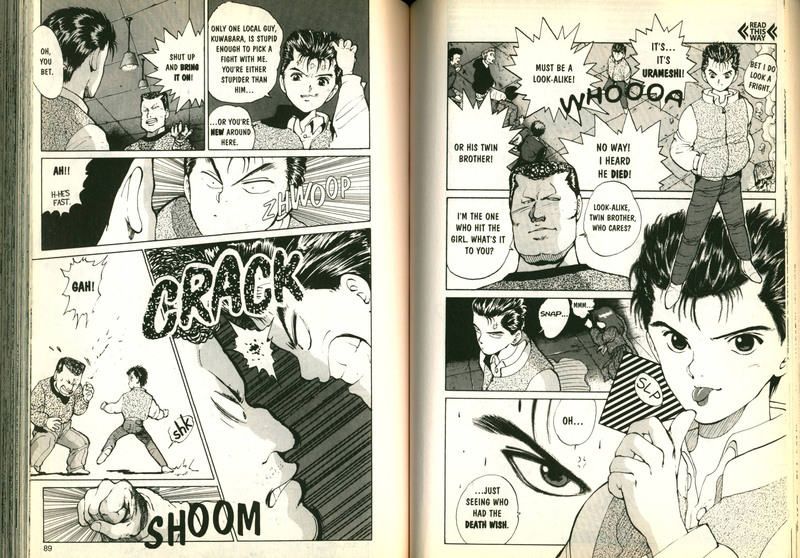 The images that follow are all from the comic YuYu Hakusho by Yoshihiro Togashi, which centers around teenage rebel/gang member/punk Yusuke Urameshi. 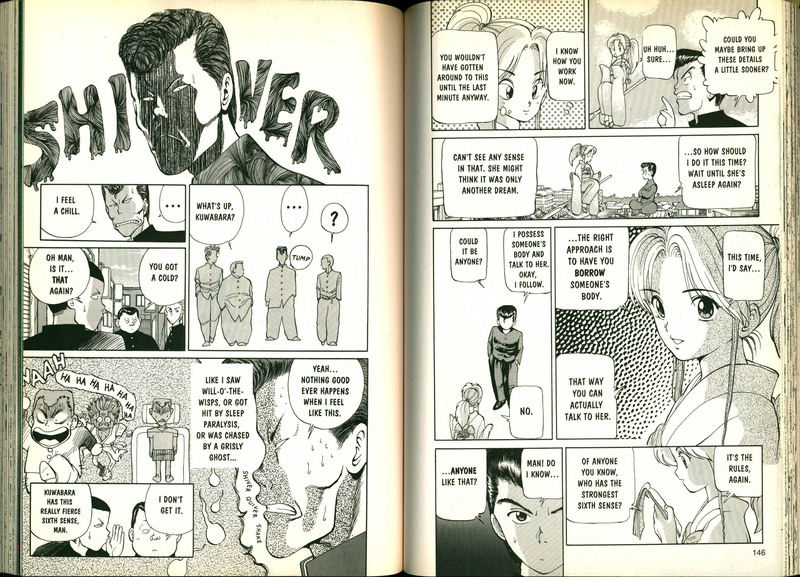 YuYu Hakusho by Yoshihiro Togashi. Shonen Jump, Vol. 1, No. 5. May 2003. Shonen Jump, Vol. 1, No. 4. April 2003. Shonen Jump, Vol. 1, No. 3. March 2003. 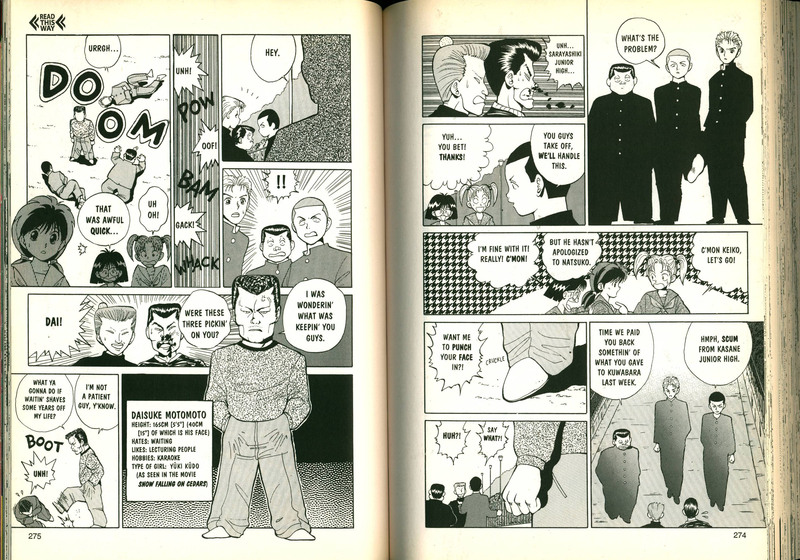 The comic is graphically playful — many different textures (halftones, gradients, speckles, marble, probably achieved through Letratone) are juxtaposed side-by-side and flatten the image. 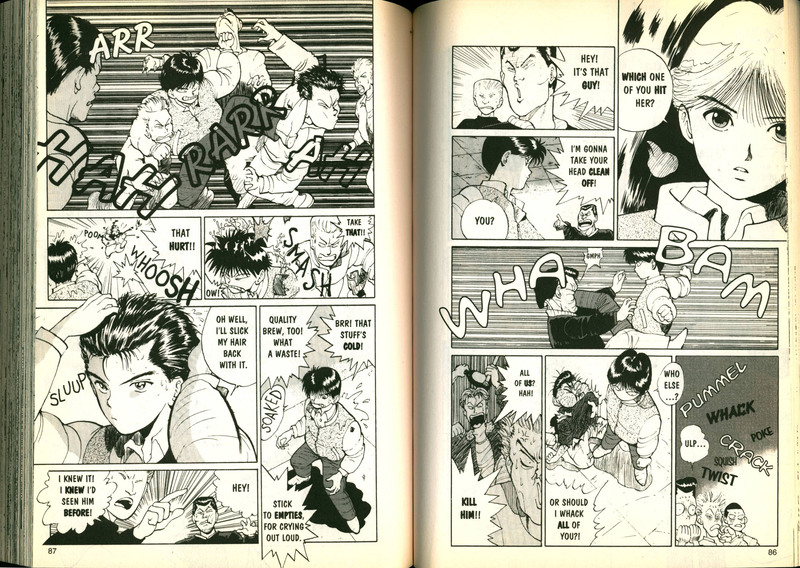 YuYu Hakusho by Yoshihiro Togashi (close-up). 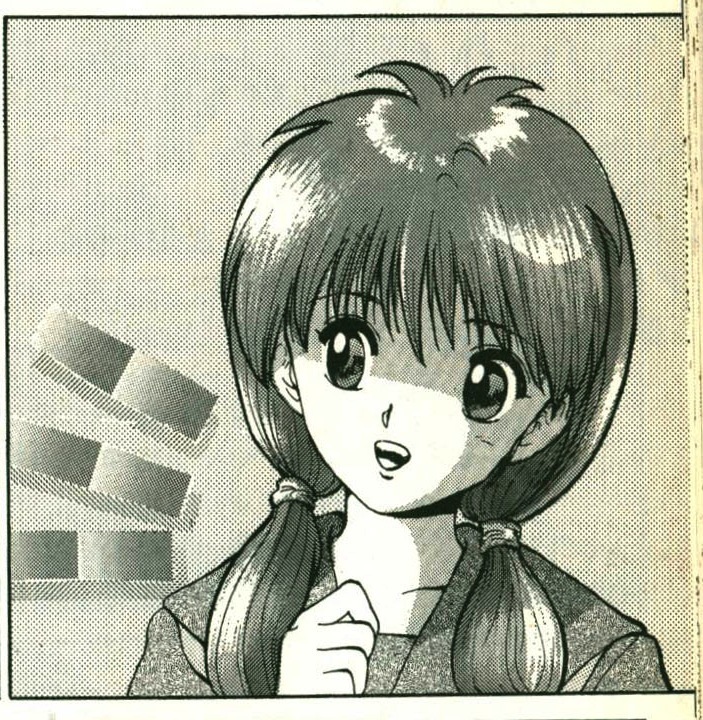 Togashi sometimes entirely changes his drawing style for a single panel and draws a character off-model for comedic or dramatic effect. 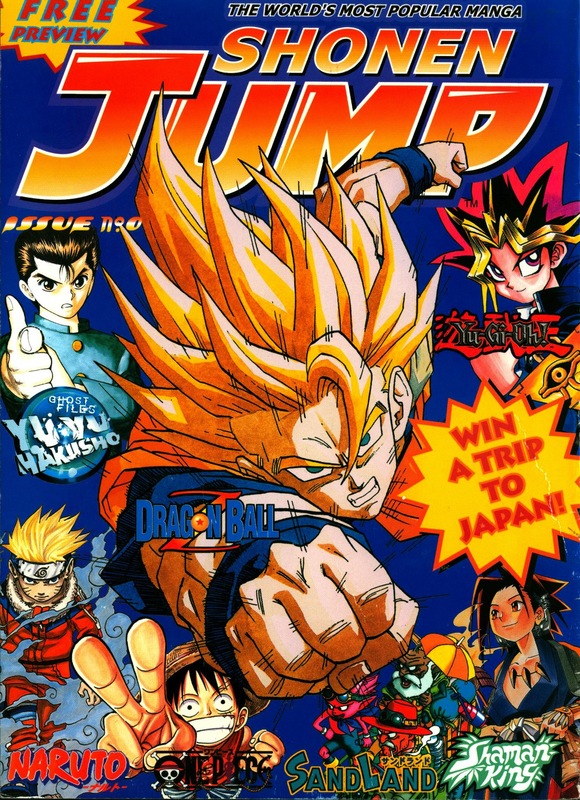 Shonen Jump, Vol. 1, No. 1. January 2003.